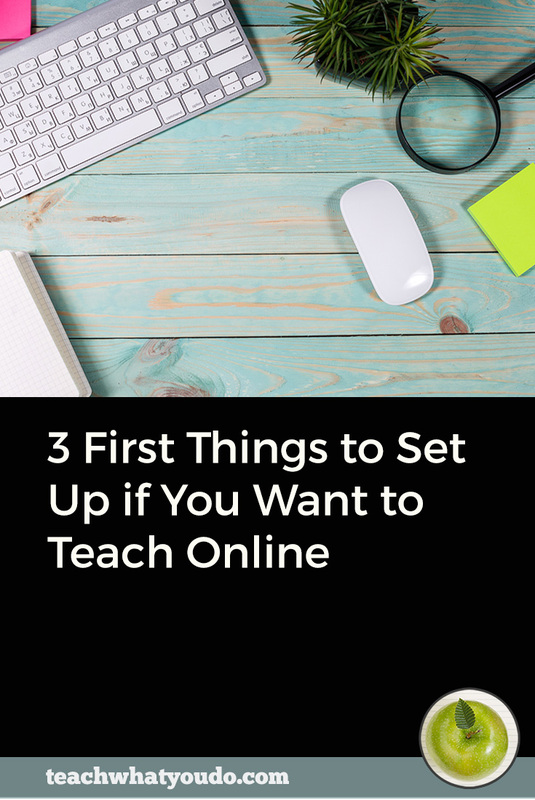 If you're ready to make your own online class, you've probably started envisioning the lessons you'll make. When you picture those lessons, what do they look like? Are they demo videos? eBooks? Maybe your envisioned lessons are live weekly webcasts. Or perhaps you see your teaching done in an online community. Each of these are great possibilities. 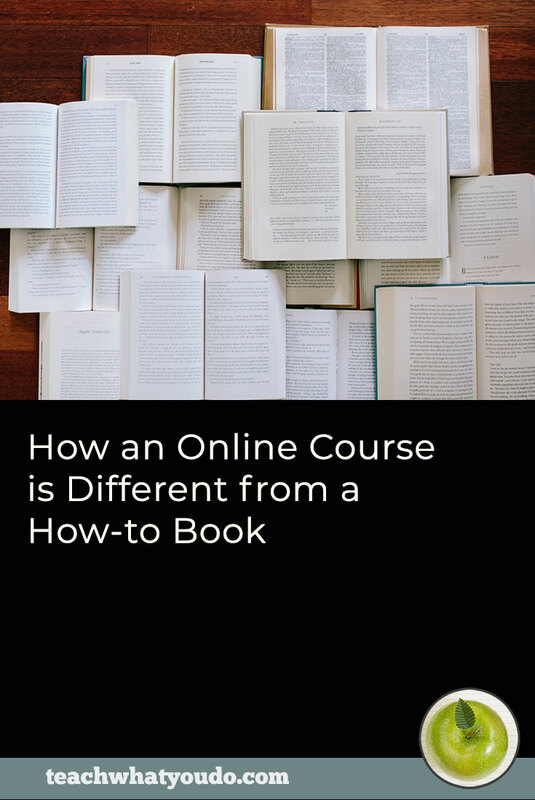 What's more, they illustrate three kinds of online course content you should always consider when designing a new online class. Read on for the details (and be sure to grab the infographic quickguide to these 3 types). These are the lessons that you prepare ahead of time–whether in video, audio, or written format–and then make available in an online classroom. > On-demand content is presented in a classroom for consumption at the convenience of your students. This is content you prepare ahead of time. You plan and script these lessons and save them in written, video or audio formats, upload them to your site and present them in a clear way in your online classroom. Your students can access the materials at any time. At their convenience. > On-demand content can be presented in a mix of mediums. The details of the on-demand lessons you're presenting can take the form of video, audio, e-book, transcripts, worksheets, checklists, guides. These are things that the student can come open or view or hear at any time. The mix of these on-demand elements that you'll use will depend on what you're teaching. You'll need to think about the outcome that you want your student to achieve and the best way to get them there. Oftentimes a video demonstration is needed, other times an illustrated and written eBook step-out works best. Keep in mind that there are many students who will appreciate having a transcript and audio version of a video lesson. They like to listen later on to hear the information repeated. They like to take things bit by bit with a transcript. And while a written lesson may be your best way for teaching some content, there are many students who would appreciate audio and video versions of it. > On-demand lessons can be presented all at once OR “dripped” out. 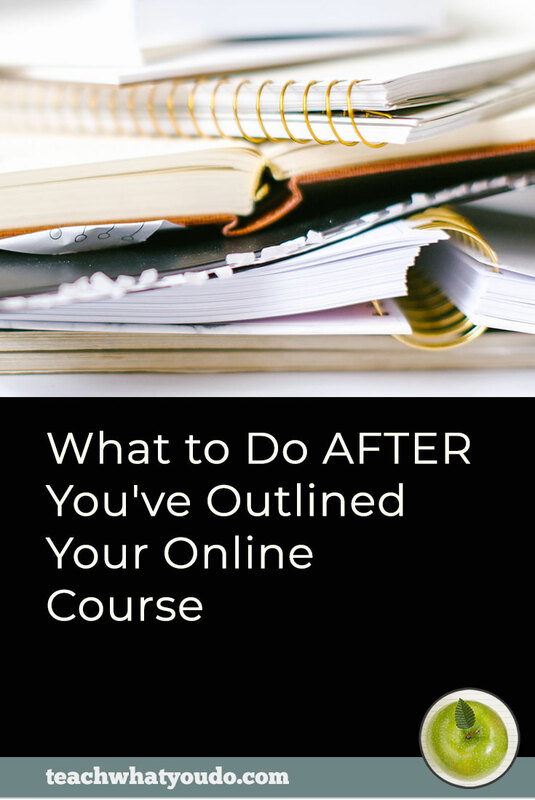 A decision you will make is whether all of the on-demand content for a class will be immediately available, or whether you'll “drip” it out over a series of weeks, revealing new lessons as time passes. There are pros and cons for each approach. Some students love having everything all at once. And, depending on your topic, this might make more sense. When you're teaching something more in-depth and you want your students to move forward together–perhaps tied to live coaching–you can slow them down and put things out bit by bit. Sometimes this decision can even be about making sure that you've gotten past the warranty period or payment-plan collections before more content is unlocked. If you do want to “drip” out content, make sure you choose a classroom tool (membership plugin or LMS plugin or hosted LMS) that supports this function. Another aspect of online class content is some form of community. This is a place where students can come talk to each other and talk to the teacher. A classroom community is usually offered via one of these tools: 1) a built-in bulletin board or forum, 2) a private Facebook group, or 3) the comments on classroom lessons and posts. When you offer a private community, you up the “touch” aspect of your teaching. > Community is a place for students to share ideas, challenges, tools, and more. A great benefit of the community is that your students become part of a group with a shared purpose. Working alongside others who are pursuing the same goal can be motivating, with messages like: Hey, this is what I'm doing today or this week. -or- Check out this tool I just discovered! –or- I'm stuck at lesson 3. >Community is a place for students to get questions answered so they can move forward. None of us want our students stuck and not moving forward because they've got unanswered questions. The great thing about a classroom community is that you've got pooled resources. Your students are going to have a breadth of knowledge to supplement your own, and they’ll have experiences that they can share, which is great for everyone. > Community can become a databank of answers and resources. Another aspect of online course content is the inclusion of some kind of virtual live meeting. “Virtual live” means that everybody can come to a certain private place online at the same time and communicate. You might gather with a chatroom where people type their conversation. Or you might use a meeting with audio and webcam or screen-share capabilities. You can use a meeting service like Webex or Gotomeeting or Meeting Burner or even Google Hangouts to offer virtual live events. Before the sesson, think how to structure these live meetings depending upon what you want to accomplish. Here are several common formats for live virtual events. > You can structure virtual live events to deliver support, accountability, coaching. You could complement on-demand content with support or “Q & A” sessions that enable you to coach and do accountability checks with students. Or the support-type call might be the core of your class with on-demand materials playing a supporting role. > You can structure virtual live events to facilitate hotseat sessions and critiques. 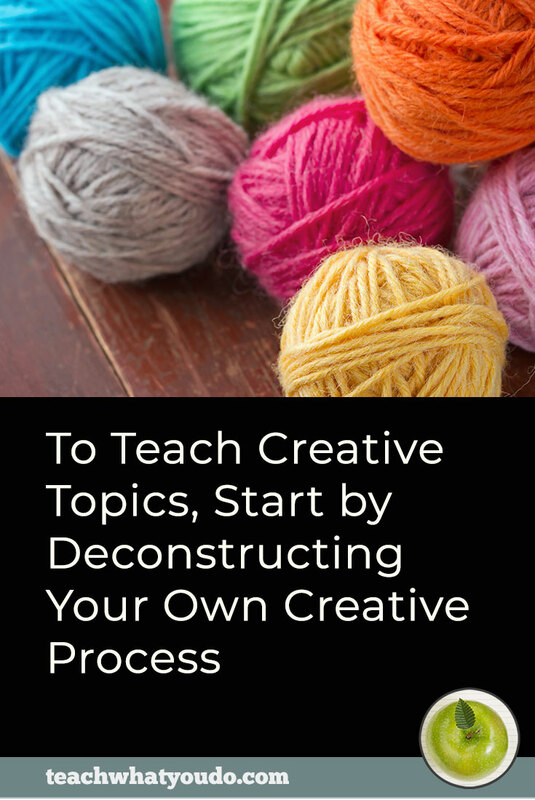 This is a great format for getting your students to put lessons to work. With guidance and feedback you help evaluate their progress and skills–and provide feedback. > You can structure virtual live events to deliver lectures. Some online courses will primarily happen in live lecture sessions (with recordings provided afterward). Another model would be to complement on-demand content with lectures. In the Teach What You Do eCourse Blueprint class, I offer the core content in on-demand video lessons (with transcripts, audios, and worksheets) but then I also include live lectures–but not from me. Instead I bring in guest experts to present 45-minute lectures on complementary topics. > You can structure virtual live events for community building. Depending on your topic, an open web room could be a great way to build community. At Get It Scrapped (my scrapbooking education site), I open a GoToMeeting room one Saturday each month. It opens around 10am and stays open til after midnight. Scrapbookers drop by and chat, if they are scrapbooking they might point their webcam at their work and share it. Others share their screens as they work digitally. It's a favorite community event. Most online course content will be in one or more of these formats: on-demand, community, and virtual live events. 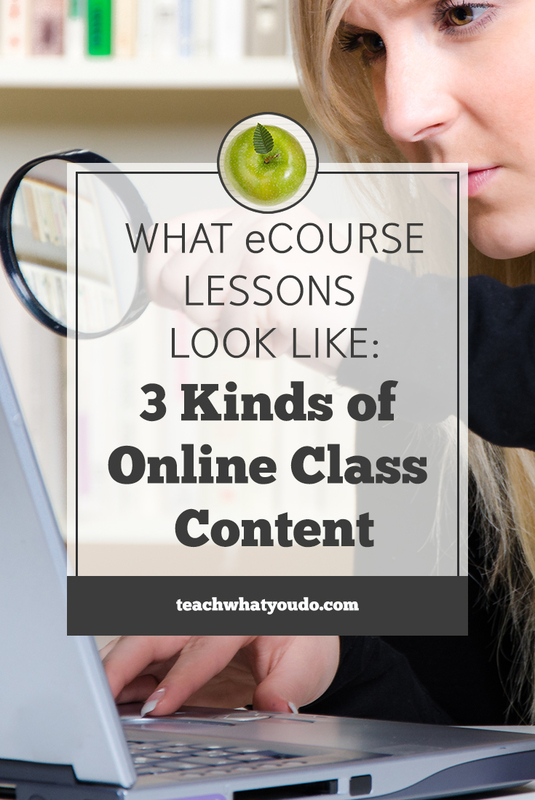 Click the gold bar above to download our Infographic QuickGuide on these three types so that you have a reminder of them as you build your own online course lessons. Consider what your students need to move forward to achieve the course outcome. 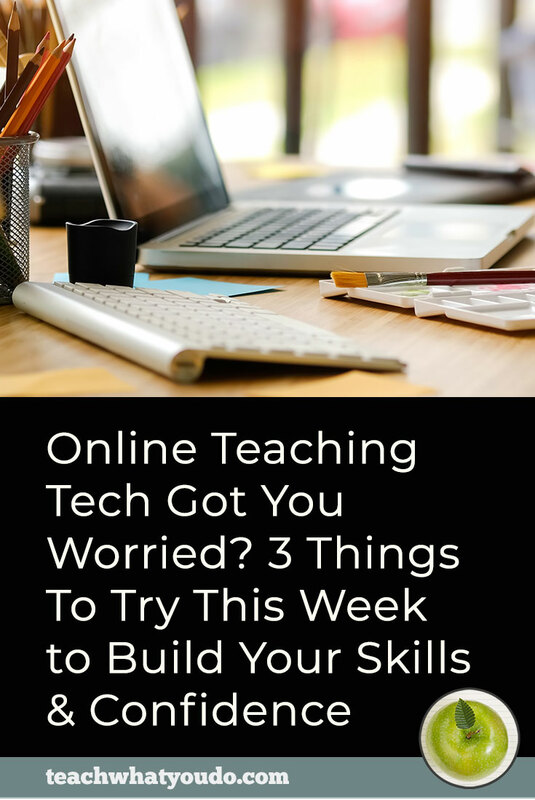 And then consider how you can implement of mix of formats to address learning styles and leverage the great tools that exist for teaching online.